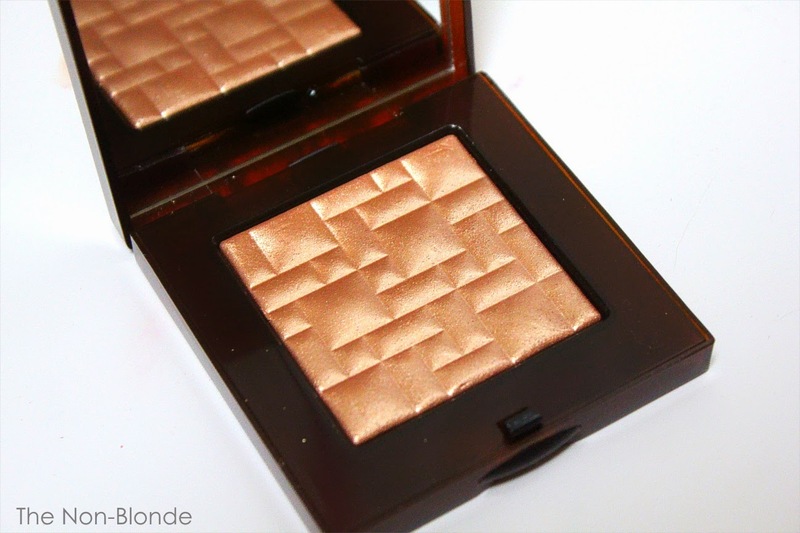 Holiday season is when all the highlighters come out to play. 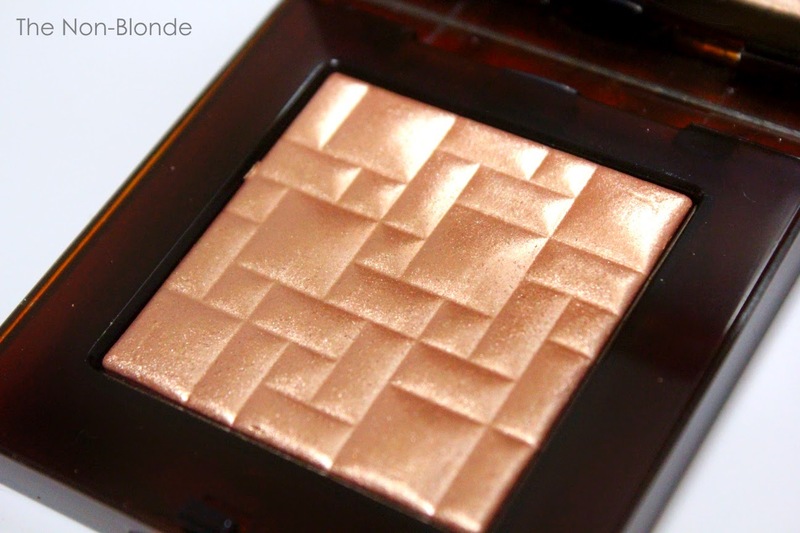 Almost every brand has a gorgeous limited edition option, and one needs to remind herself that there's only so much highlighting products she can use in her lifetime. 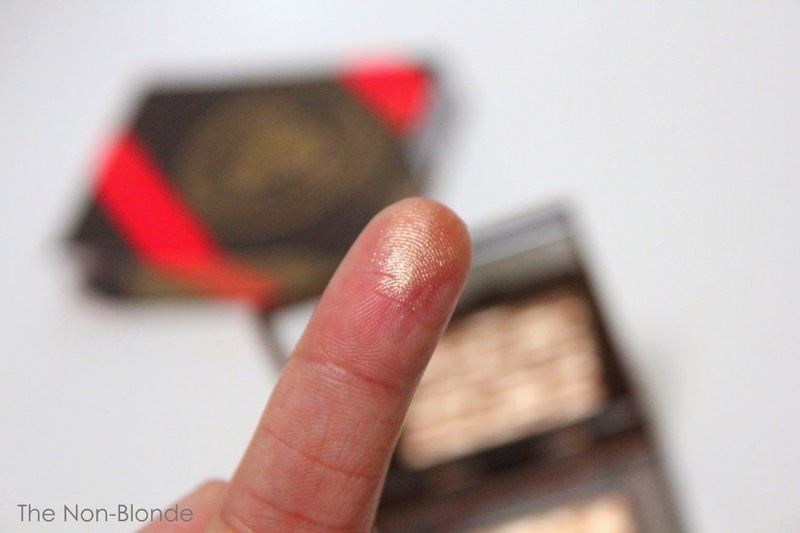 While the highlighter I chose this year, Bobbi Brown Bronze Glow, is technically part of the Scotch On The Rocks collection and not the holiday collection, it was released just in time, so why not? There are two highlighter in this Bobbi Brown collection. I skipped Pink Glow and went straight to the bronze, that has a metallic shine and a warm base color. 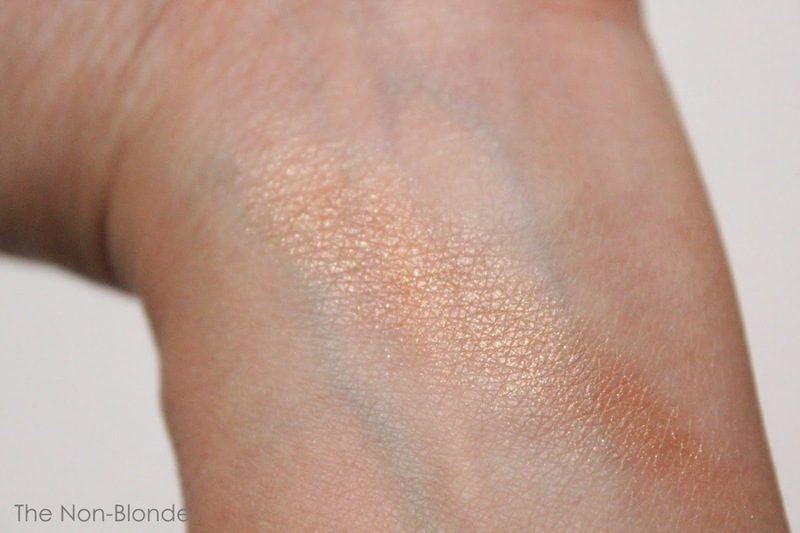 It reminds me of the shimmery bronzers of the 1990s, only with a better finish (no actual particles) and a smoother texture. The highlighter requires the lightest touch (and a soft brush, something like Chikuhodo Z2 or Hakuhodo B5521/J5521 or J103 or even G5538. I like that the highlighter adds color as well as shine. It comes in handy when you need to warm up the look (for me: if I'm wearing a dress in a color that requires extra oomph from my makeup). The glow can be toned down a little with regular powder, if you feel like you overdid it, but hey, 'tis the season. Bottom Line: pretty and lively. 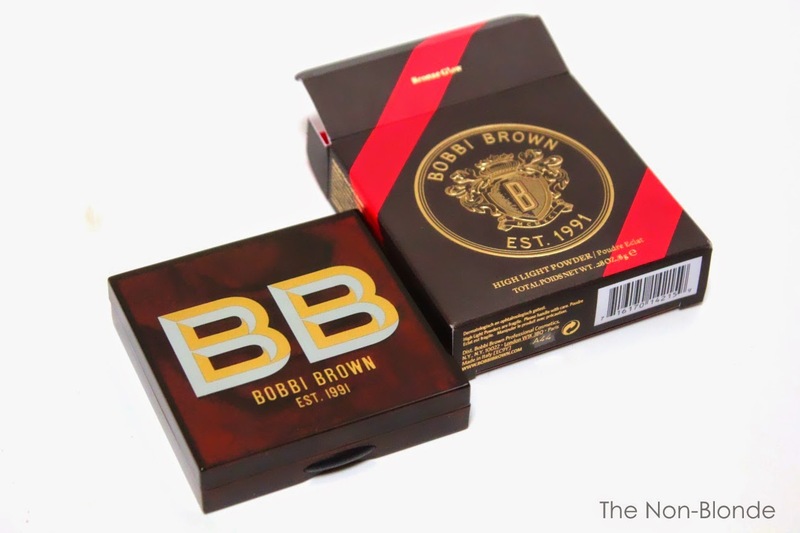 Bobbi Brown Highlight Powder in Bronze Glow ($45) is a limited edition item. Available at the counters, Sephora, and from bobbibrowncosmetics.com. I purchased both shades. Love them! Ooh, that packaging is charming - it looks like like a Wes Anderson collaboration.